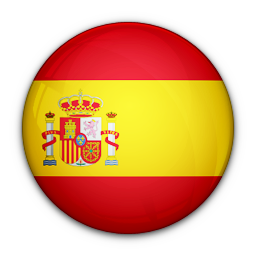 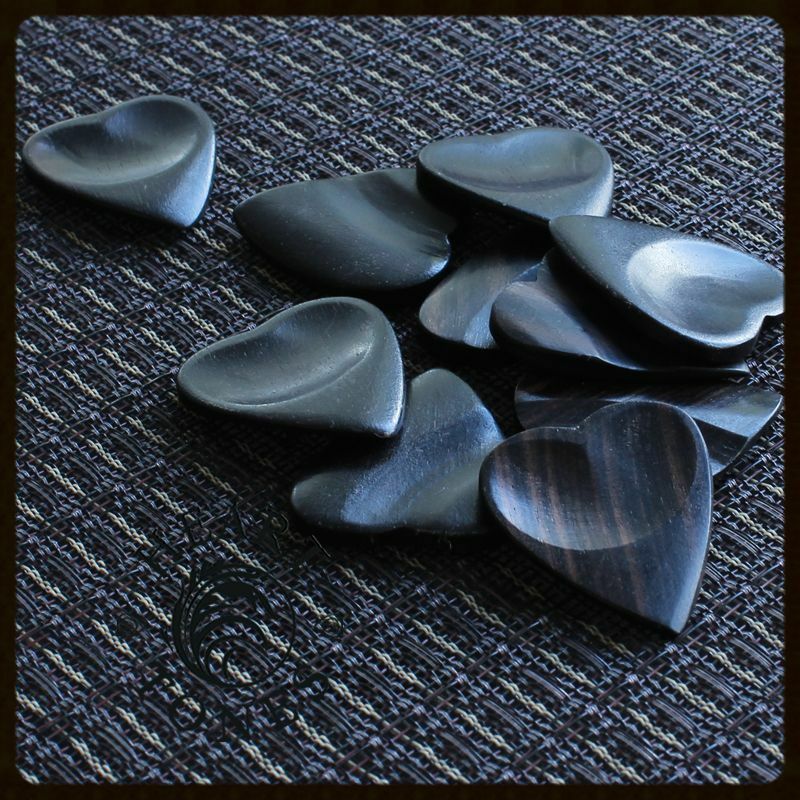 We recommend Heart Tones for Acoustic Guitar, Electric Guitar, Bass Guitar & Gypsy Jazz Guitar. 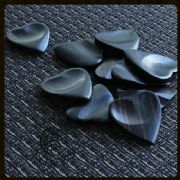 Heart Tones are designed for those people who require a sharp Jazz Tip but also need a high level of grip. 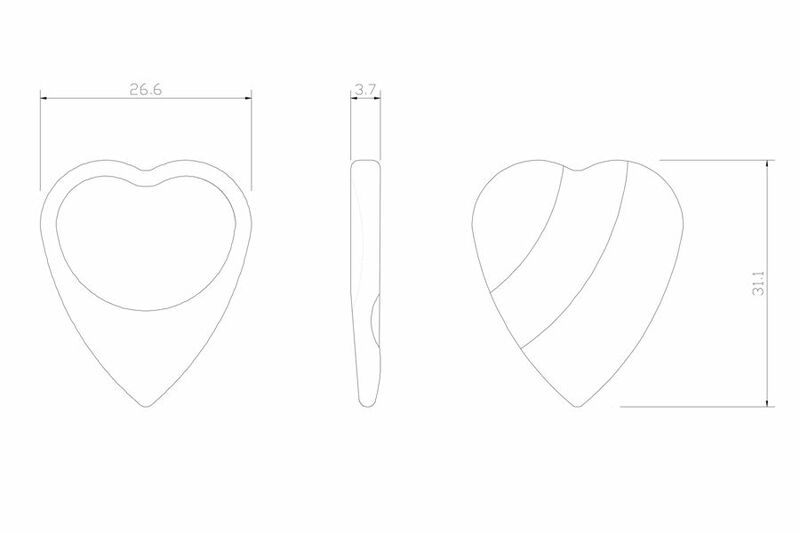 They have a double dimple that positions the thumb and a scoop on the other side for the first finger, which stops the plectrum from rotating. 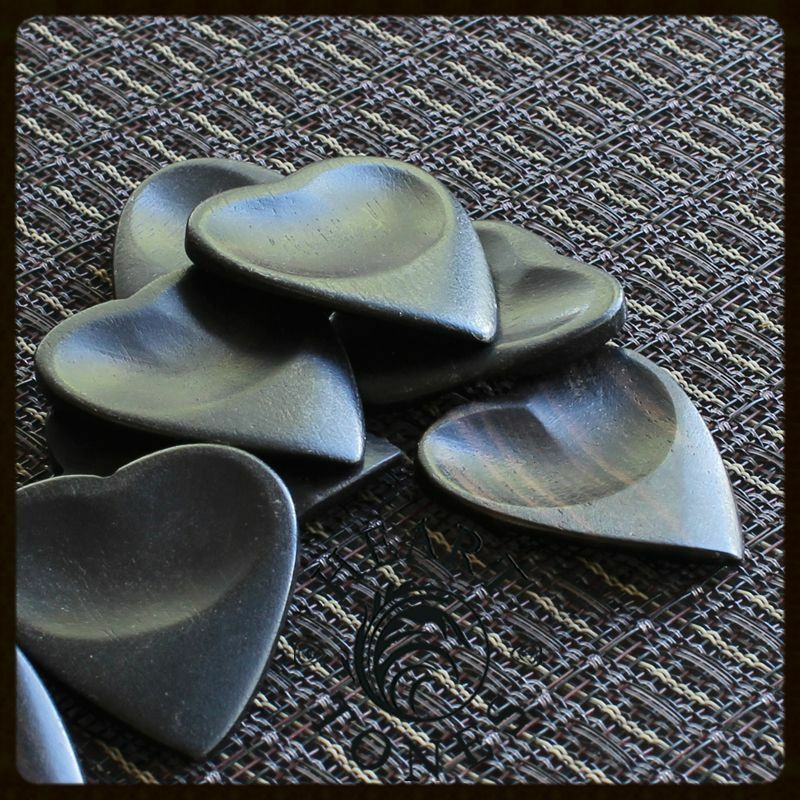 They are very comfortable to hold and lock into the perfect playing position. 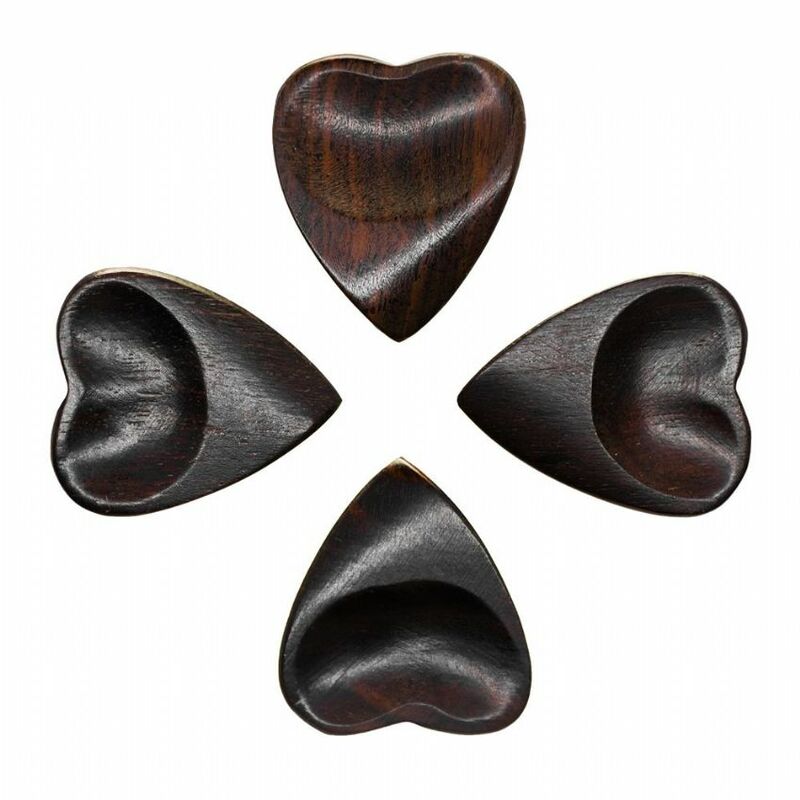 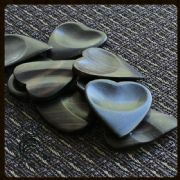 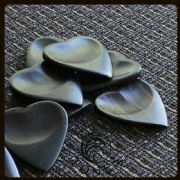 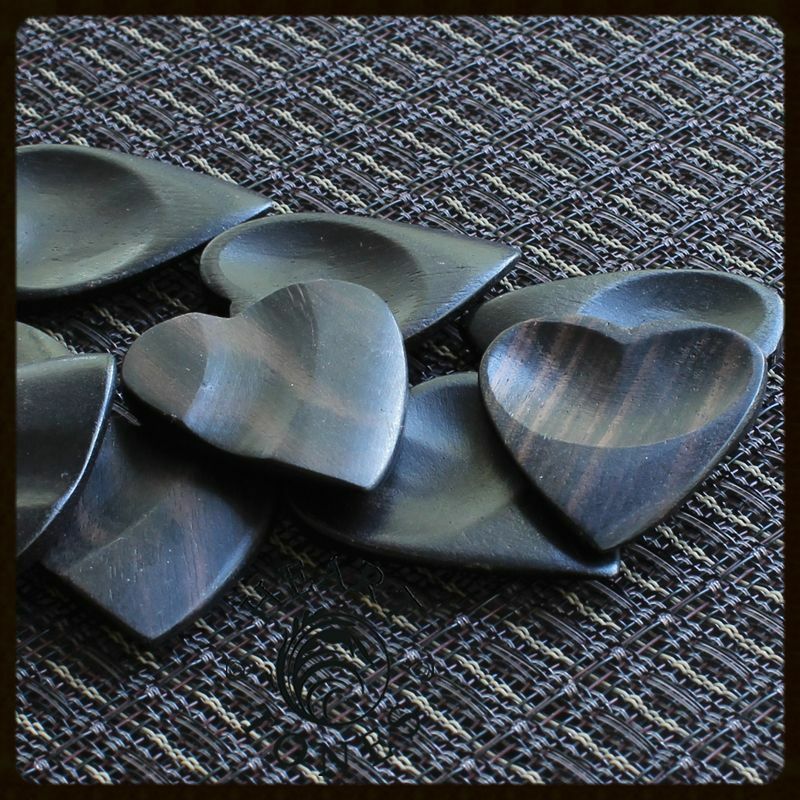 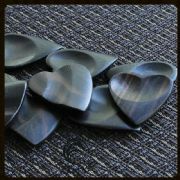 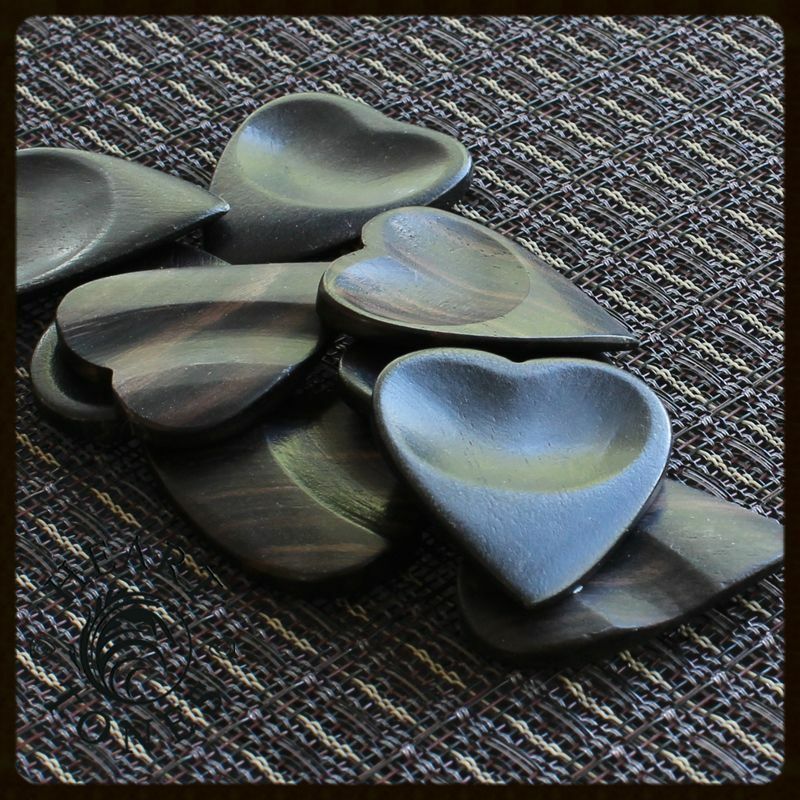 This pack contains 4 African Ebony Heart Tones Guitar Picks.